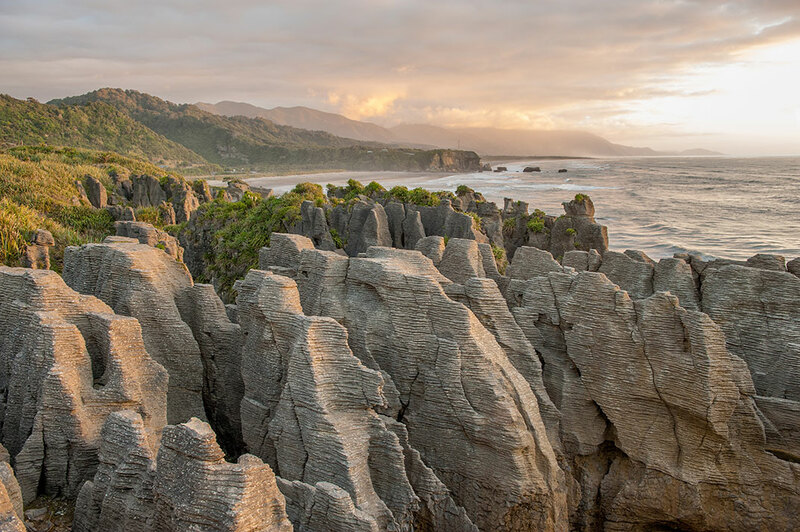 New Zealand is a small country but full of wonderful natural landscapes. 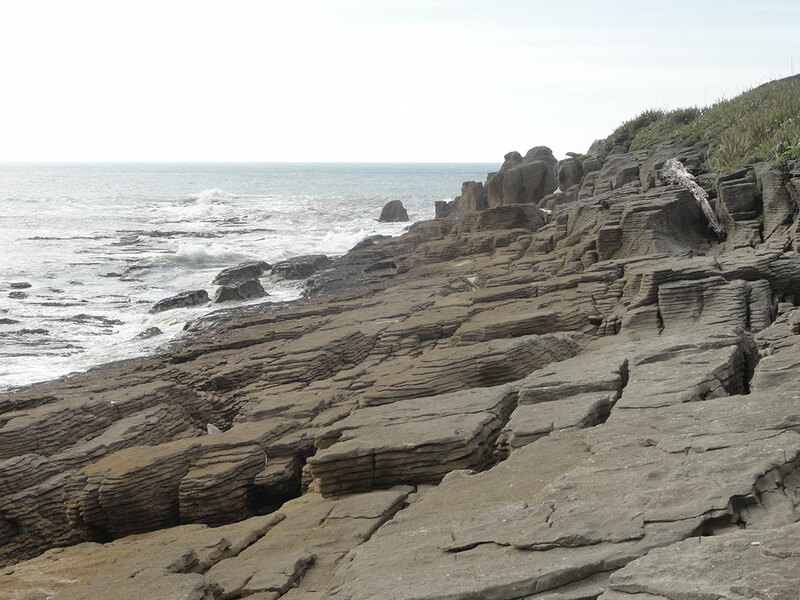 It is also fascinating to see such a small area contain many gorgeous sites. South Island, owns a number of them including the Cliffs of Punakaiki. These surprising rock formations are worth a visit. We tell you about this wonderful site. 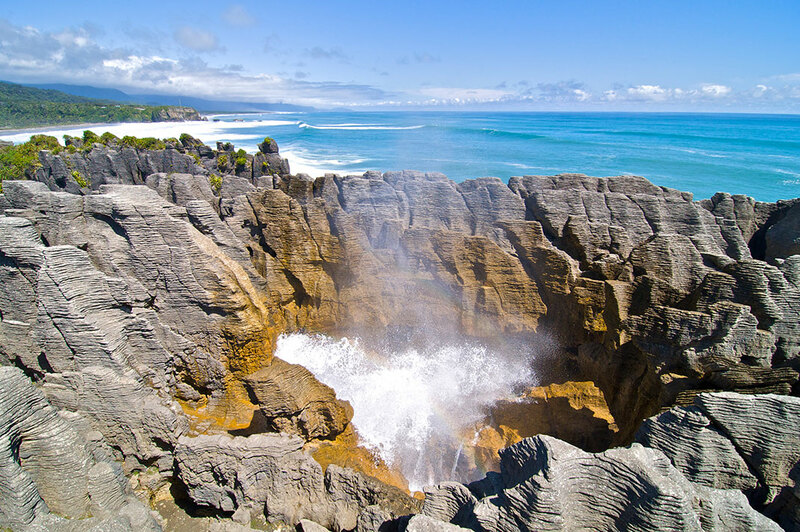 Located in the South Island of New Zealand in the municipality of Punakaiki, these rocky cliffs bear witness to the wild beauty of nature in this country. 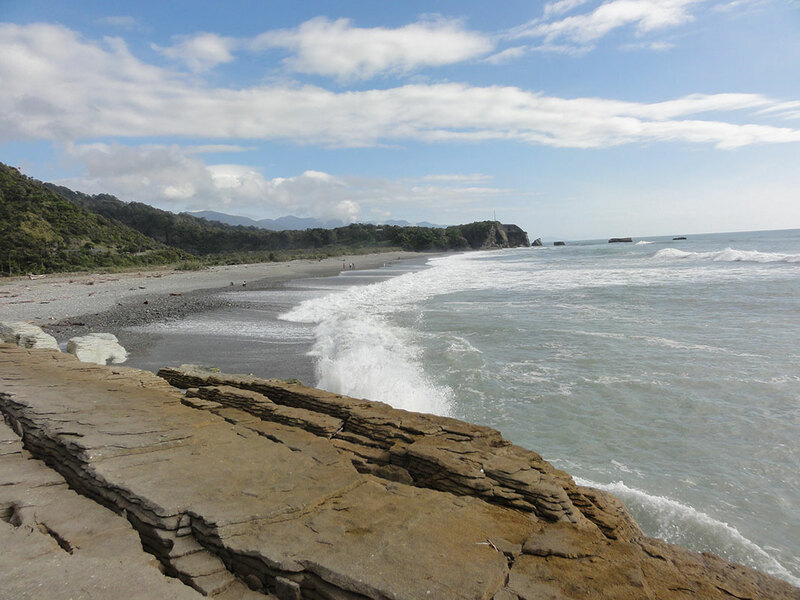 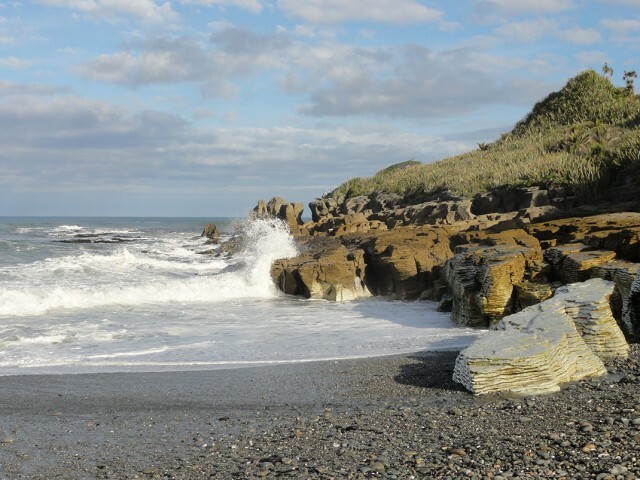 The cliffs are located on the west coast, about fifty kilometers north of Greymouth. 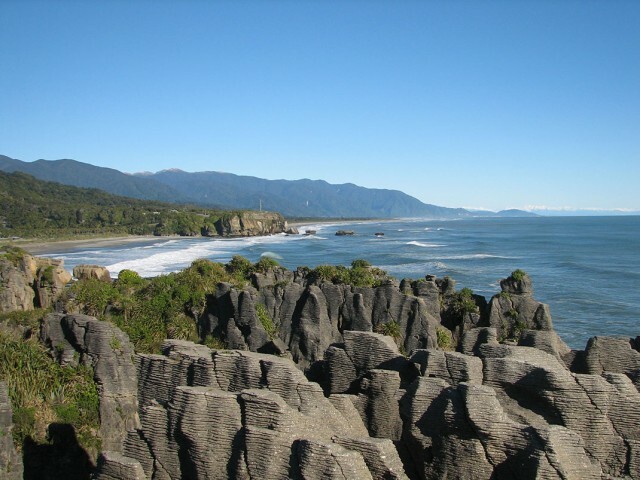 The site is part of the Paparoa National Park. A small path leads to the strange formations. 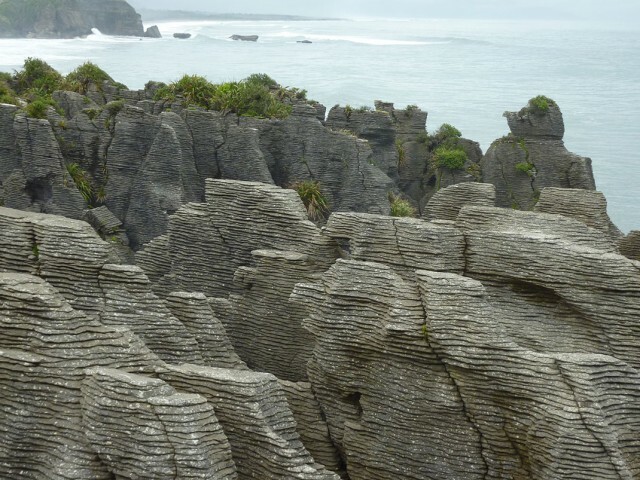 Nicknamed the “Pancake Rocks” because they look like stacks of pancakes on a plate. 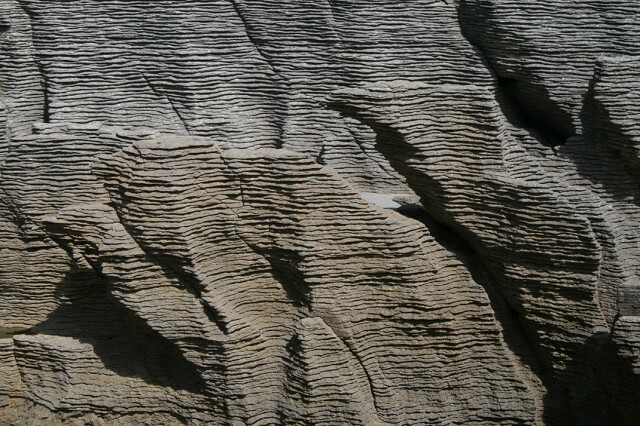 They are formed by superimposed limestone layers, which have been eroded by the sea for over 30 million years. 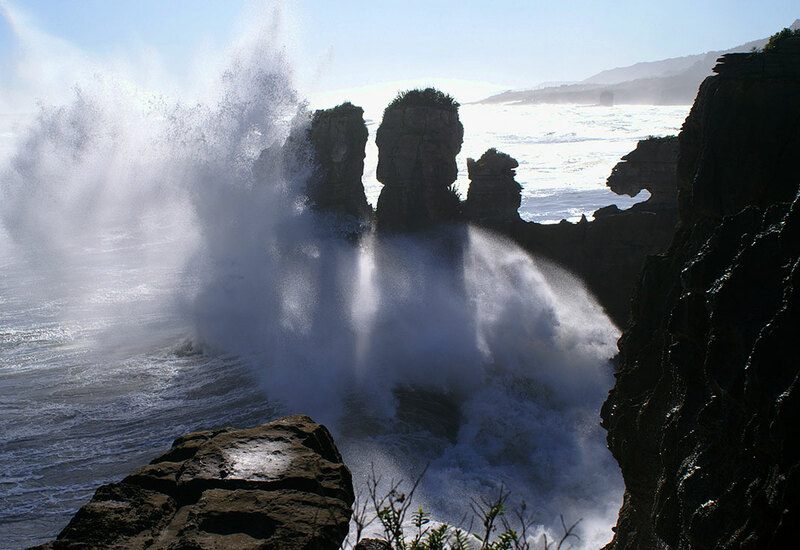 The waves literally flow into their guts and form gigantic vertical geysers (water gushed impressively). These limestone “pancake stacks” are a must for tourists visiting New Zealand. Every year many tourists to discover the cliffs of Punakaiki. 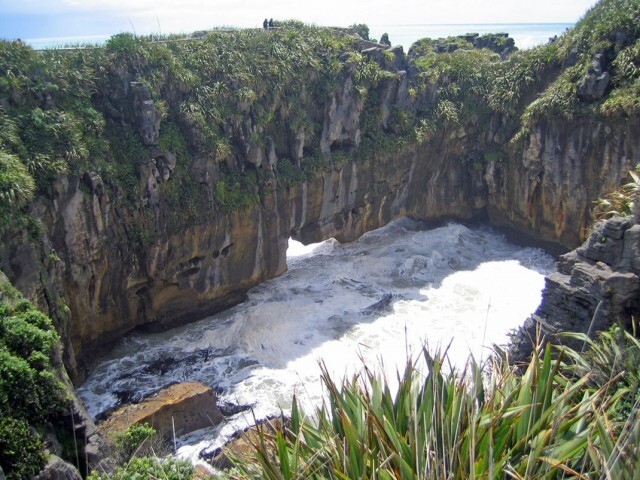 So it is accessed by a footpath that passes through a forest. 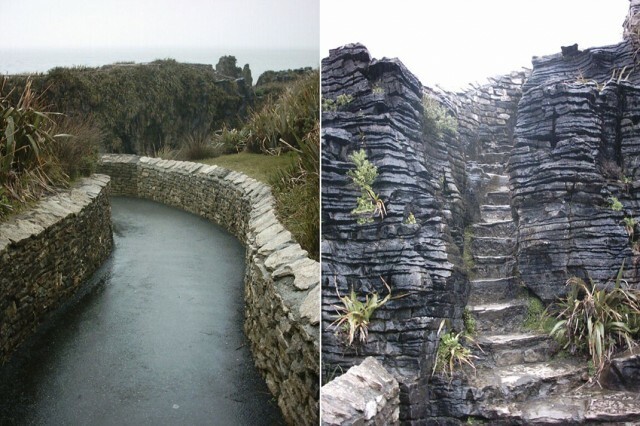 The path provides access to a quarter hour to the Pancake Rocks. 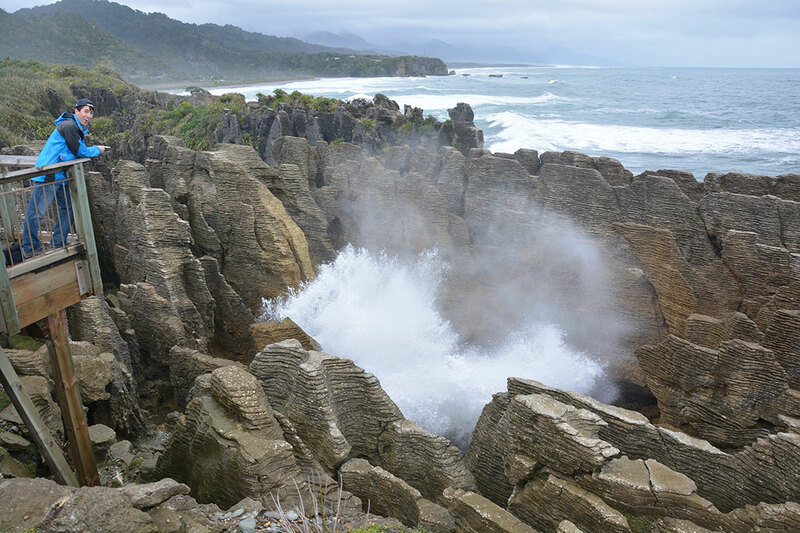 One can enjoy the ride while the magnificent views of the mountains inland, the rugged coastline and the Pancake Rocks, are the main attraction. 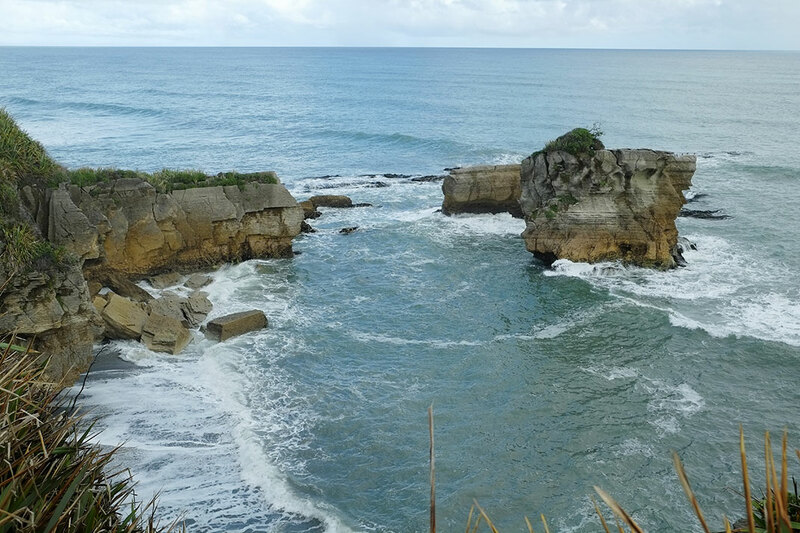 According to locals, the best time to visit this site is the high tide. 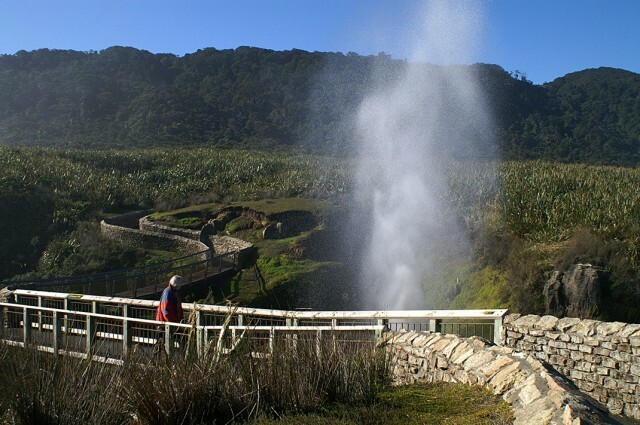 The tour organizers offer horseback riding, caving, guided walks and rafting. 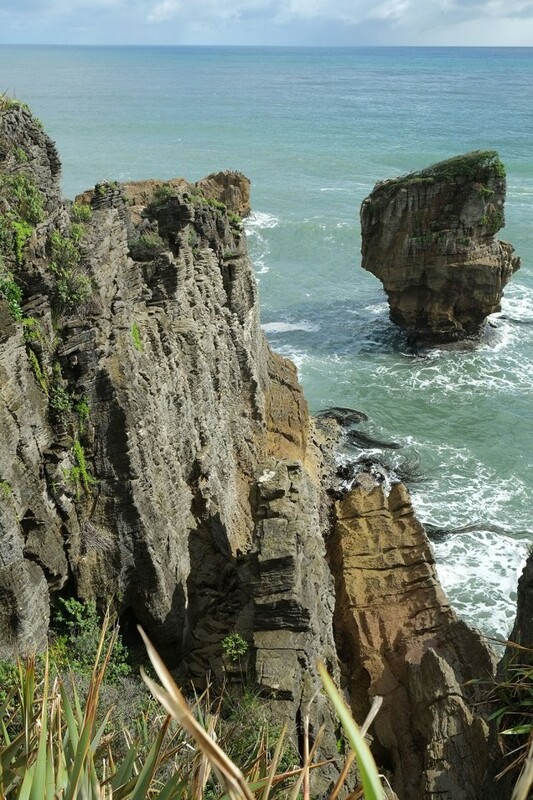 For those who like to contemplate nature, it is possible to see birds close enough. But be careful not too close to the edge of the cliffs: in 1985, 14 people died because of the collapse of a platform. 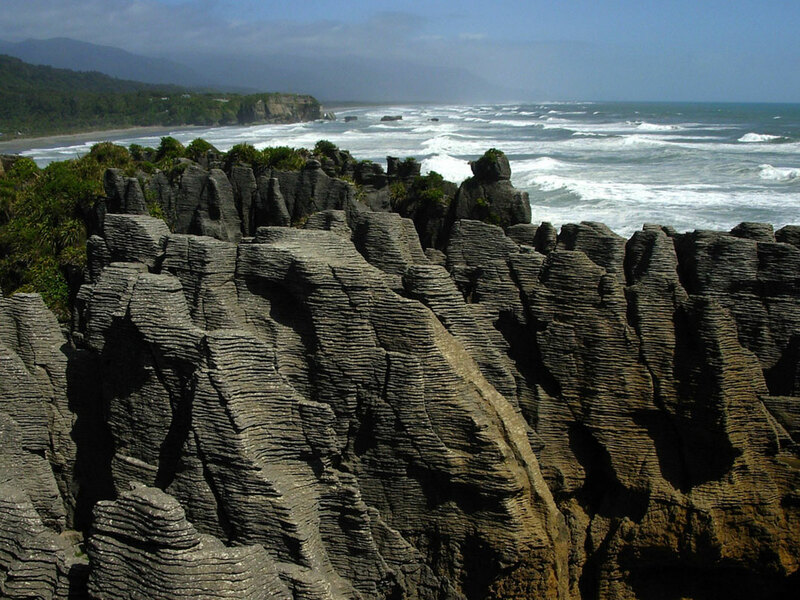 The cliffs of Punakaiki are clearly in the image of the New Zealand: wild, sublime and fascinating. These amazing limestone forms are unique in their kind and deserve a visit. 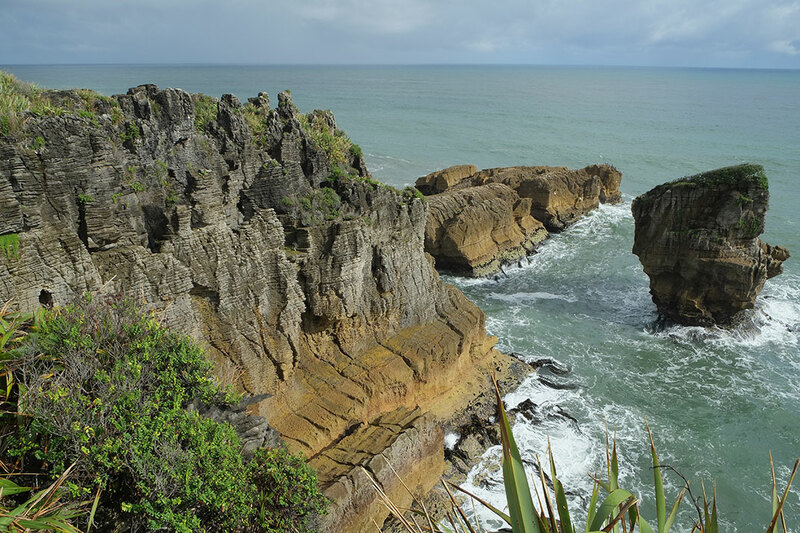 The surrounding nature is just as beautiful, the views and attractions abound. 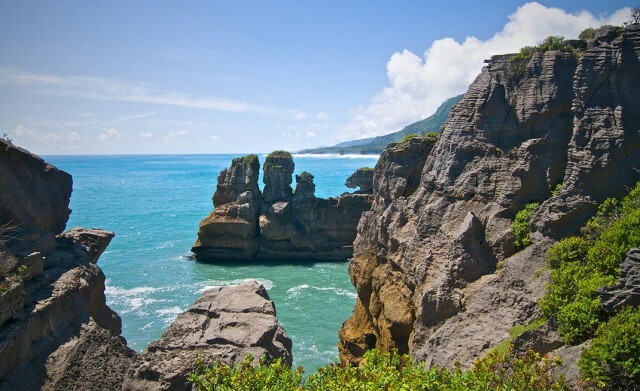 The rest of New Zealand also full of surprises and attractions in the stunning beauty.